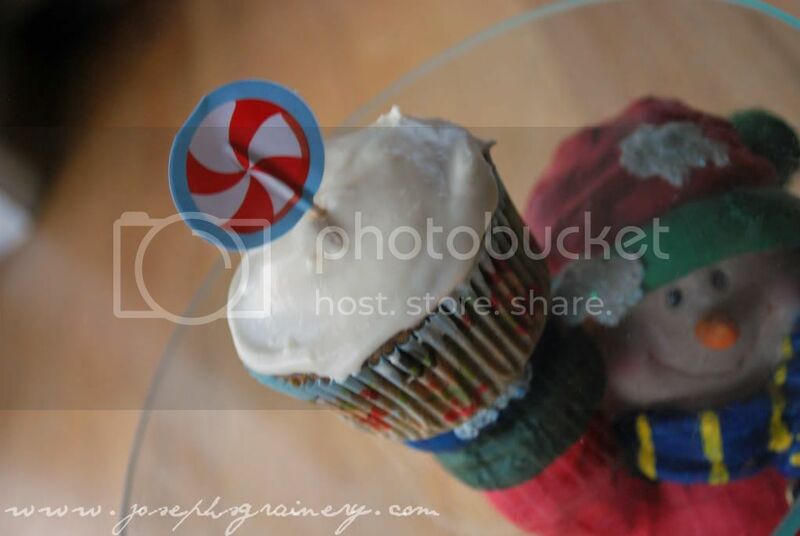 MaMa made these delicious Gingerbread Cupcakes with Cream Cheese Frosting! I especially love licking off the frosting, but when I ask MaMa for more frosting she tells me I have to eat the cupcake to. The cupcakes are yummy, but wouldn't you lick off all the icing and ask for more if you were two too? We'd made this Gingerbread Cake back in June, we aren't sure what made us want to make a Gingerbread Cake in June, but boy was it good, so when MaMa wanted to make Gingerbread Cupcakes now that it's actually the season for gingerbread, that was the recipe she turned to. She simply poured the batter into paper lined muffin tins and baked them for 15-19 minutes to make the cupcakes. 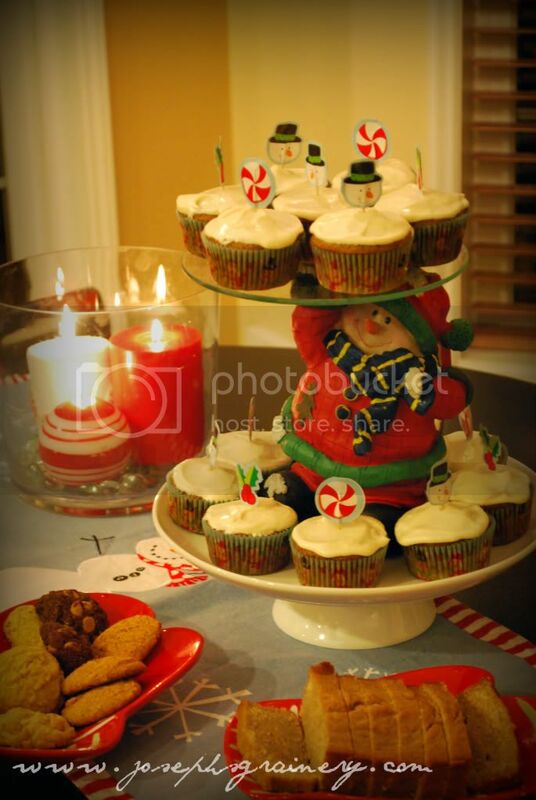 Gingerbread Cupcakes complete this tasty buffet. Simply frost the cupcakes with the cream cheese frosting, which you'll find at the bottom of the Gingerbread Cake Recipe.